Slush 2018 evergreen stage rendering. Image courtesy of Sun Effects. Slush is a non-profit organization originally founded to celebrate entrepreneurship. Held during the darkest time of the year in Helsinki, the aesthetics of the event play a major role in Slush’s signature look and feel. With a design team made up of eleven full-time members and five to six part-time members, Sun Effects is equipped with highly trained and experienced personnel in light, set, sound, video, media, and graphical design. By using this breadth of expertise to their advantage, the firm has handled many mid-sized to large scale projects. 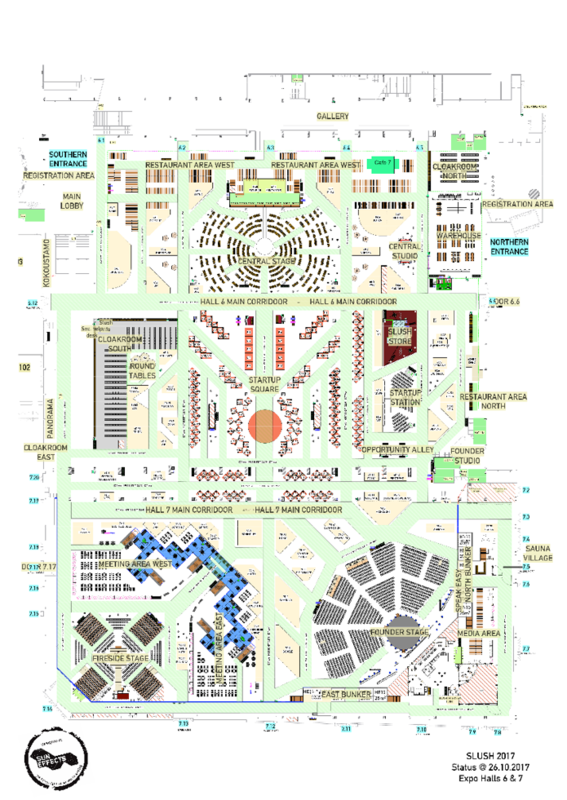 Slush 2017 rigging plot. Image courtesy of Sun Effects. However, Slush seemed to be on a completely different level; it started as a very small organization that needed to grow as the event grew. According to Riikonen, it was a “bumpy ride” where “many things were learned by trial and error” — an experience that was shared with the entrepreneurs who make up the annual event. 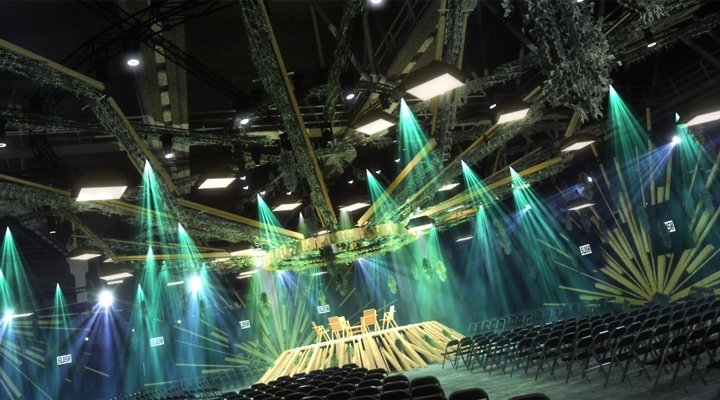 Fortunately for Riikonen, using Vectorworks Spotlight was less about faith and more about utilizing the tools he knew he could trust. He discussed how the software’s features have saved him a lot of time and helped him avoid mistakes. 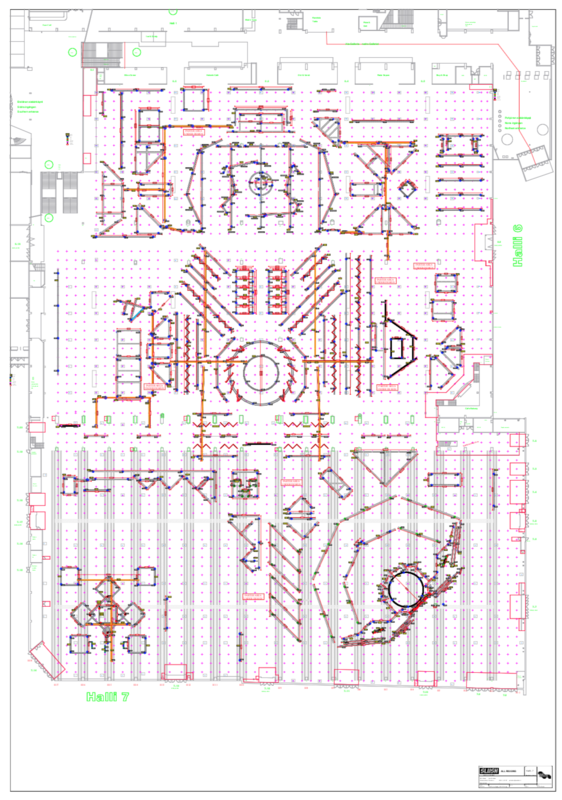 Slush 2017 floor plan. Image courtesy of Sun Effects. Saving time was crucial to ensure the event’s success. In order to efficiently collaborate with the vast number of rental companies and technicians, Sun Effects used Project Sharing in Vectorworks to share files. The team streamlined their work internally, as well. This enhanced workflow is key, as Slush continues to grow exponentially year after year. “We produced 7044 documents in 1182 folders for Slush 2017,” Riikonen said. “And we do not expect much less in 2018.” But with plans to unify their internal design processes, the firm is ready for this challenge. Want to hear from design professionals like Sun Effects? Learn more from Riikonen and others at Nordic Design Day 2018 in Helsinki.